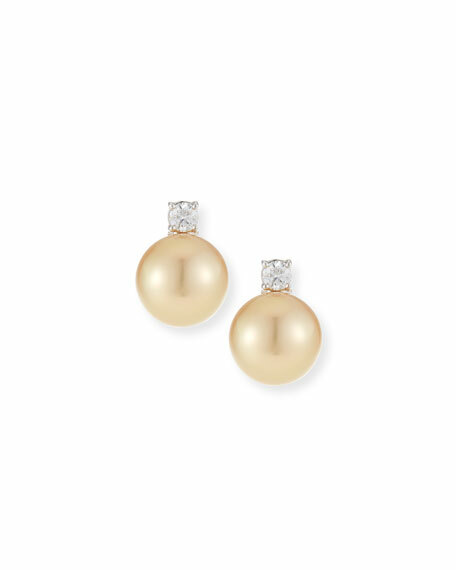 Belpearl diamond and golden pearl earrings. Single prong-set round white diamond. 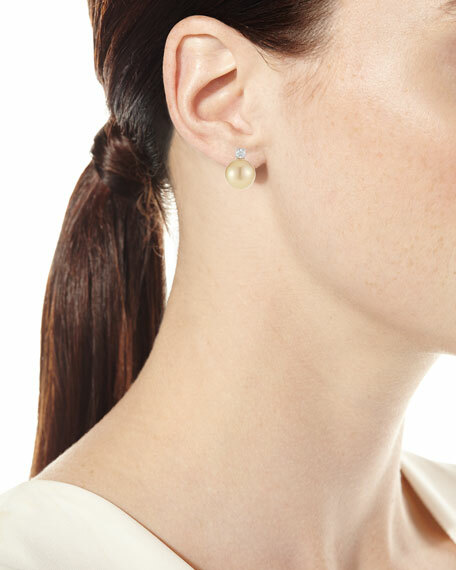 Naturally golden South Sea cultured pearls.